Are you passionate about kayaking, do you want to take it on as a sport or career? At White Nile Rafting we believe that for our students to fully understand the dynamics of paddling and for the guides to teach in greater detail and depth, they need to be on the river with us for more than just one day! 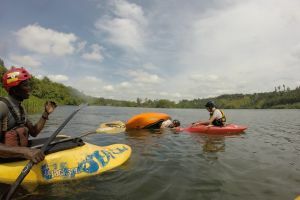 Thus, we offer a multi-day package where you will learn to understand moving water, taking the time to observe the water with your guide and making sense of these apparent crazy rapids. 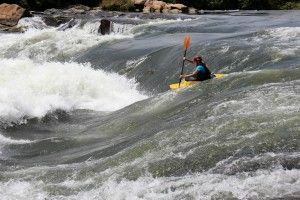 This translates into you being a much more skilled kayaker, able to approach new challenges with insight. NOTE: All kayaking trips include. Comfortable clothing, shorts and t-shirts. Lots of sunscreen lotion and a cap. Clothes to change at the take out and towel. Medication that you may require. Some money for any extra costs.